Inspired solutions for your technology and security needs. Comprehensive plans that fit you now—and in the future. Focused on what’s right for you, not a favored vendor. It all starts by listening to you. Asking you the right questions. Learning what’s working well for your business, and where you need improvements. At NIS, our goal is to be your trusted reference for technology and security consulting and design. As a fully independent firm, we understand that your time, human resources and money are valuable. So our focus is always on finding the best solutions to maximize your investment—not on selling you a particular vendor. To ensure that your systems work faster, smarter and more cohesively, NIS designs and specifies to the latest codes and standards. With more than 30 years of experience on the leading edge of the industry, you can be confident that your technology will continue working for you. Today, and in the future. How will NIS assess my needs? Together, we’ll determine where you are, where you’re going, and where NIS can help. What can I expect with NIS? A long-term relationship, based on honest answers—and keenly focused on your needs. We identify problems before they start, reducing crisis management. NIS is an authority on telecommunications and technology spaces, equipment and solutions, including unified communications and cyber security. We will establish a detailed baseline analysis of your existing environment to provide a comprehensive gap analysis that defines areas of critical, immediate and future concern. NIS uses well-developed methods to allow for a comprehensive study of various vendors and solutions. We provide comparative analysis by creating a standard for evaluation. This process provides clear goals for vendor responses and accountability for award performance. 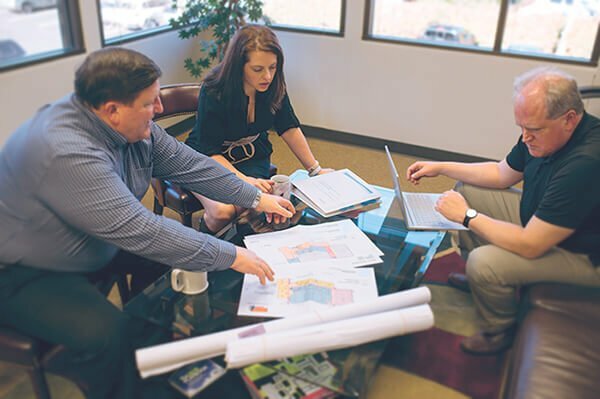 NIS works with you to generate budget estimates and strategic plans that encompass designs to close identified gaps, and roadmaps to get there. Design services provide complete AutoCAD® or Revit® drawings and CSI Master Format specifications, which are easily blended into any architect’s package. 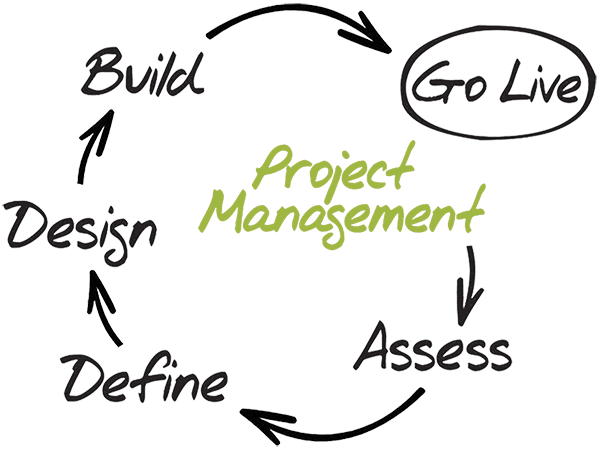 NIS is a strong proponent of the Project Management Institute and our methodologies follow this philosophy. You’ll enjoy the benefit of well-developed project management tools that provide productivity, transparency and results. Make NIS your trusted partner for comprehensive technology and security consulting and design. The speed and reliability of your technology—wireless, voice and security—is only as good as the framework it runs on. NIS pioneered universal connectivity, allowing your voice and data to share common transport. NIS continues to champion standards based designs and applications to ensure maximum flexibility for future technology. NIS translates your business needs and objectives into a secure, scalable, reliable design that delivers the real-time communication required in today’s business environment. We deliver enterprise-grade design service, monitoring, documentation, predictability and stability into staging and production-facing environments. NIS offers hands-on experience integrating IT technologies and a comprehensive knowledge of functionality and performance. We design multi-node voice networks, including complex elements such as Enhanced 911 (E911), call recording and call center solutions, all within redundant networks. NIS uses an integrated approach to security design, addressing both physical and cyber security. We provide design for video security, access controls, CCTV and intrusion alerts that can be blended into any architect’s design. We have experience with all major brands, and understand best practices for both physical and cyber security. UNCOMPROMISED SOLUTIONS FOR OUR CLIENTS. We are a vendor-independent telecommunications and technology consulting and design firm. This means we advise you to purchase only what you need- Over the last 30 years we’ve delivered on one simple goal: provide uncompromised solutions for our clients. This is achieved through a holistic approach of seeing all production and solutions. We understand the standards because we’ve helped write it, literally. As a regional voting member of the Telecommunications Industry Association (TIA), we are on the national subcommittees that create standards governing the telecommunications industry. This level of knowledge and ability ensures an objective and credible design that will meet current and future technology needs.